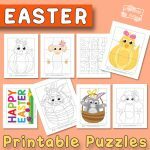 Celebrate the season with our new pack of Spring Printable Puzzles for Kids. These free puzzle games will surely keep the little hands occupied for some time. 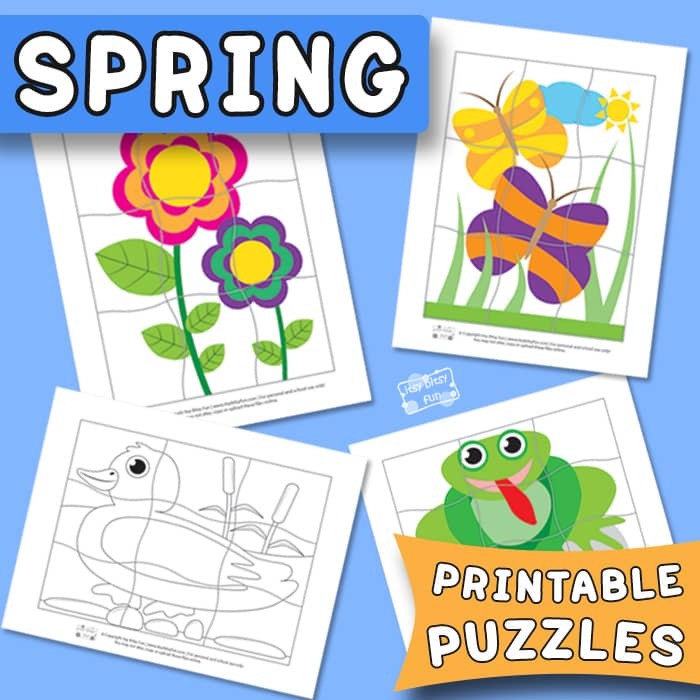 The spring puzzles are perfect for preschoolers and kindergartners. 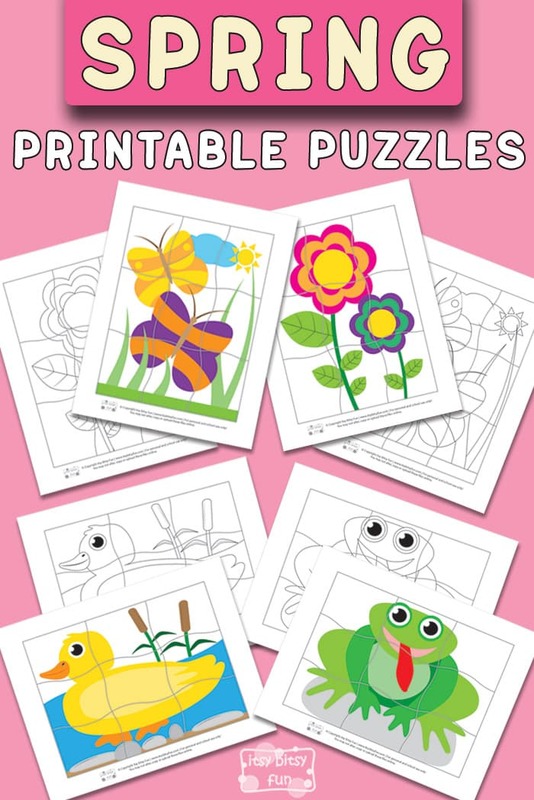 This pack of puzzles for kids celebrates spring with flowers, a duck, a frog, and beautiful butterflies. 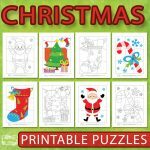 Print the black and white version and have the kids color their new puzzles, or choose the pre-colored version, cut the pieces apart and laminate them for kids to put together. 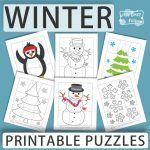 If your young ones love animals and nature, these puzzles are just perfect for them to learn about the season. 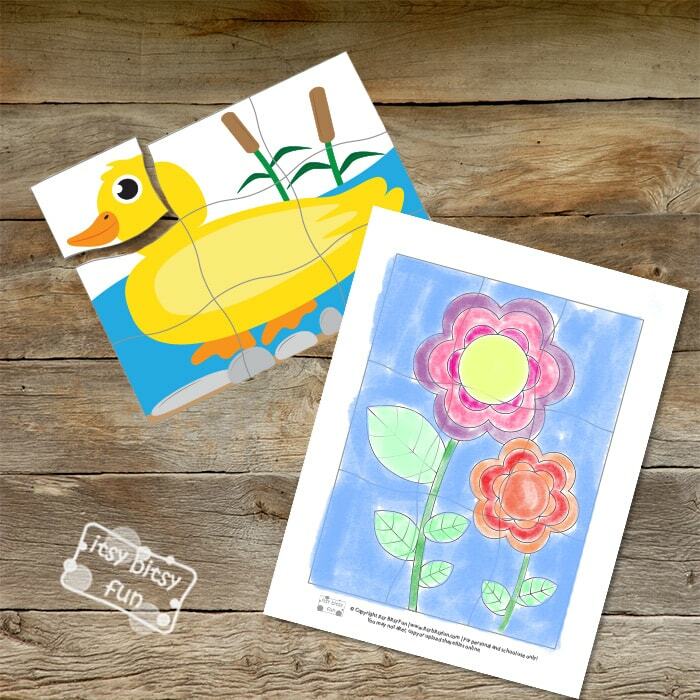 These printables are a fun way to introduce spring themes in the classroom or at home. Older kids can use them too to help their younger siblings to practice dexterity and problem-solving. An upgrade of the puzzle game could be mixing all of the 4 puzzle pieces up and having the kids find the pieces of each one. The first puzzle includes two flowers. The second page has a duck swimming in a pond. On the third page, there is a frog sitting on a big rock. And the fourth printable puzzle includes two butterflies and sunny-cloudy weather in the background. Because each puzzle piece is quite big, kids will be practicing their gross motor skills while finding the correct place where to put it. 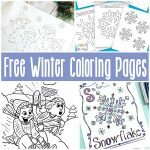 You might also allow the kids to color the puzzles in their own style, to make them really unique. Older kids especially may enjoy mixing and matching the color pieces in a variety of ways. If your kids love to mix and match, we also have a great free alphabet mixing and matching pack for them to have fun with. Get your Spring Printable Puzzles – Colored Version here. Grad your Spring Printable Puzzles – Black and White Version here. 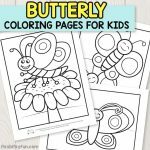 Check out the Spring Coloring by Numbers Worksheets and enjoy the free pack of Spring Playdough Mats.